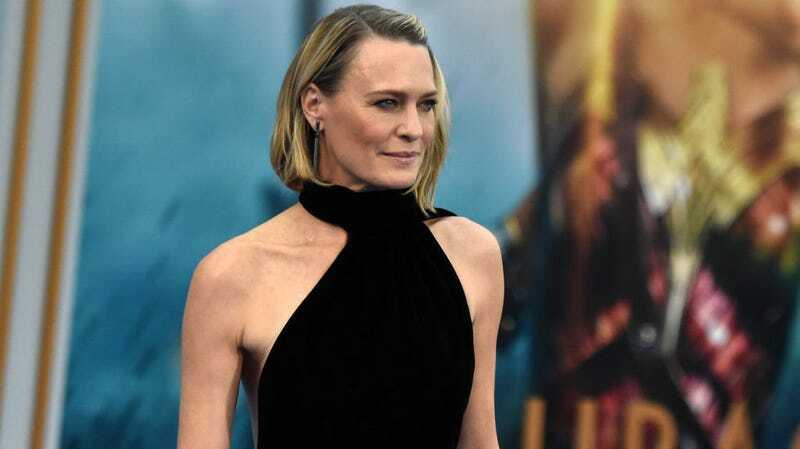 Robin Wright says she didn't really know Kevin Spacey: "We were coworkers"
House Of Cards will return for its sixth and final season later this year, with Robin Wright running things on and off screen. There’s still a President Underwood in the show’s White House, but it’s now Claire, who’s also served as Vice President. And in a case of life imitating art, Wright has stepped up to lead the series after Netflix fired Kevin Spacey, who played Frank Underwood, for sexually assaulting a teenage Anthony Rapp, as well as allegations that he made the House Of Cards set “toxic” with his “predatory” behavior.